Do you need a HazMat suit just to go into your kids' rooms? Motivate your children to get their rooms clean and keep them clean. For younger children, help them out. Pitch in so cleaning doesn't feel like an insurmountable task to them. We all know it's much easier (and more fun) to make a mess than it is to clean it up. Sometimes kids just need a little extra help to get them going so they can finish the task. We often bark, "Clean your room!" And, sure, the kids know what the room is supposed to look like when it's clean but do they know how to get it to that point? Give them direction so they can get in the habit of recognizing what needs to be done to get the room clean. Initially, you may need to sit in the room with them and tell your children to pick up their books. When they're done picking up their books, give them more instructions, such as, "Put your clothes in your laundry basket." It would be great if your two-year-old could knock some items off your own housekeeping tasks by vacuuming her room but that's not realistic, of course, without furniture getting rubbed and the loss of some toys to the vacuum cleaner hose. 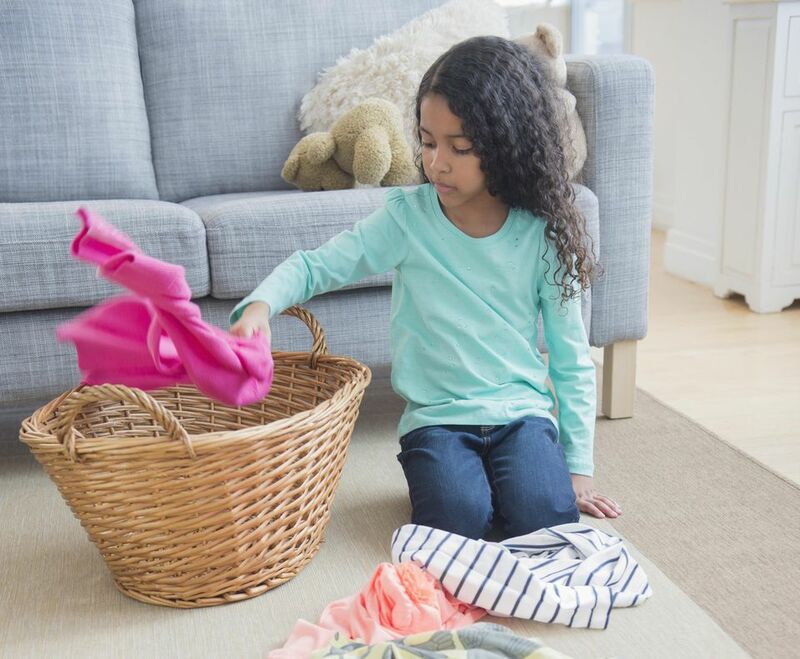 Assign age-appropriate chores your kids can actually get done. Even the youngest children can help out. Toddlers can dust their rooms with socks on their hands. Preschoolers can begin to learn how to make their beds. Your kids can get a lot of cleaning done in only 20 minutes. Just be patient with them and make sure you're assigning tasks they can actually complete. When your kids can read, make a step-by-step checklist of what they need to do. As they finish a task, let them mark a check in the box. For younger kids, you can still use a checklist. Just do your best to illustrate what they need to do. For example, scribble a stick figure teddy bear sitting in the toy chest to show that your kids need to pick up all of their toys. You probably don't think of cleaning as a fun activity. Neither do your kids. Turn cleaning into a game to make it fun, though. Let them ring a bell when they finish a task. Put a timer on a chore and see if they can beat the clock. It doesn't take much to make cleaning fun for kids and it can make all the difference in their attitude about helping out. Baskets are a parent's best friend when it comes to cleaning up. You can get a bunch at the dollar store and you've got instant, cheap toy storage. Kids may not know where every little toy should be placed. But with baskets, clean up is a cinch and all they have to do is put their toys in the baskets. You may not want to bribe your kids into cleaning but offering incentives works. You don't have to offer up money or candy, though. If you've got a family movie night planned, have everyone pitch in to do their share of cleaning. The incentive is the movie. The result is a clean house and some well-deserved family time during the movie. The house is a mess. It's overrun with toys and just as one mess is cleaned up, two more are made. Sometimes you've just got to let it go. Take baby steps to get your home organized and toys, clothes, games, and DVDs de-cluttered. Don't expect little ones to clean more than one room, or even half a room, at a time. They're kids and while they can learn how to be responsible through cleaning, they're never going to be as efficient as a professional cleaning crew. So let it go. You be you. Let them be them. And sometimes just close the door so you don't have to see the mess that day. Your house will be quiet and clean some day. And you'll miss your kids being so little and messing it up on a daily basis.